An event titled, The Future of the Internet Ecosystem in a Post-Open Internet Order World, took place last week organized by the Technology Policy Institute and the University of Pennsylvania Law School's Center for Technology, Innovation and Competition. The conference featured presentations and discussions of new studies by academic experts on the future of competition and the Internet ecosystem after the Open Internet Order. The keynote luncheon speaker was Robert E. Kahn, co-creator of TCP/IP and CEO & President of the Corporation for National Research Initiatives. 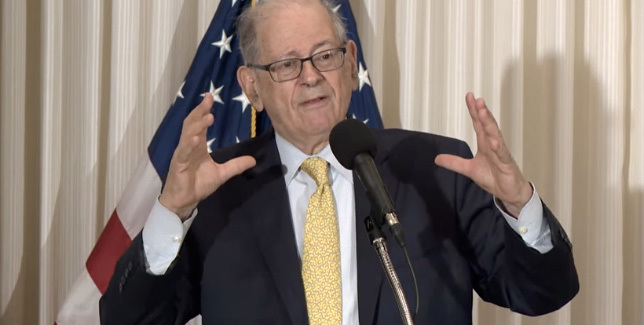 Video recordings from the event are available here, courtesy of Technology Policy Institute. Local Time: Wednesday, April 24, 2019 12:56 PM PDT – Page Load: 0.2560 Sec.